Facebook/ShinolaThe interior of a Shinola store in Portland, Oregon. 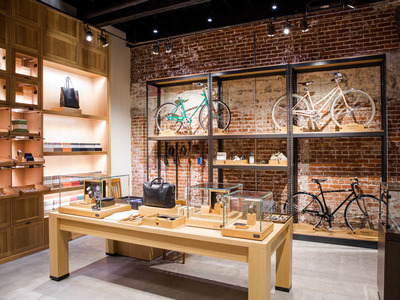 President Obama frequently brags about Detroit-based Shinola, claiming its watches, bicycles, and other goods assembled in the US are a symbol of a revival in American manufacturing. Unfortunately, the Federal Trade Commission seems to disagree with that characterization, and the company is now implementing a remedial action plan on recommendation from the FTC to avoid enforcement action. In order for a product to be claimed to be “made in the US,” it must be assembled in the US from “all or virtually all” American parts. Shinola claim attempted to avoid this FTC requirement, and the company makes no secret that it uses foreign parts for the products assembly in the Motor City while listing all part sources on its website. The company has been criticised for touting American manufacturing while using mainly foreign parts to assemble. Notably, the company uses a Swiss or Thai-manufactured movement for all of its watches and in some cases, the parts used to assemble the watches were 100% from foreign sources. The company must also stop using its “Where American is Made” slogan to describe itself, the FTC says. It’s notable that the “Made in US” requirement is stricter than manufacturing claims in other countries. Switzerland, which is still arguably the watchmaking capital of the world, requires only that a watch’s movement be Swiss-made and the watch cased and inspected in Switzerland to be called “Swiss made.” For a movement to Swiss, it needs only be made with 60% of its component’s value from Switzerland. We have always believed that “Built in Detroit” most accurately describes the watches (and jobs) that are being created in Detroit. While the FTC did show us some flaws in our communication, we believe that we have genuinely tried to be completely transparent as to the origin (and mission) of our products from the outset. We are thankful to the FTC for helping us identify some areas of improvement within some of our communication, which we began adopting over the last year. Kartsotis in his statement “many of the components and raw materials are simply not available in the US,” implying that American supply chains are just not up to the standard to create a “Made in US” watch to the FTC’s requirement. 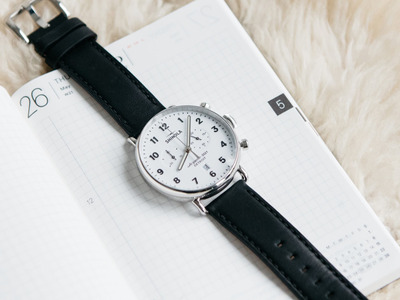 Shinola has carved a niche among consumers who are looking for a nice watch but aren’t willing or able to shell out the coin required for a high-end Swiss brand like Rolex. Shinola CMO Bridget Russo told NewCo that the company generated $100 million in revenue in 2015, up from $20 million in 2013 and $60 million in 2014. Read the full FTC letter here.